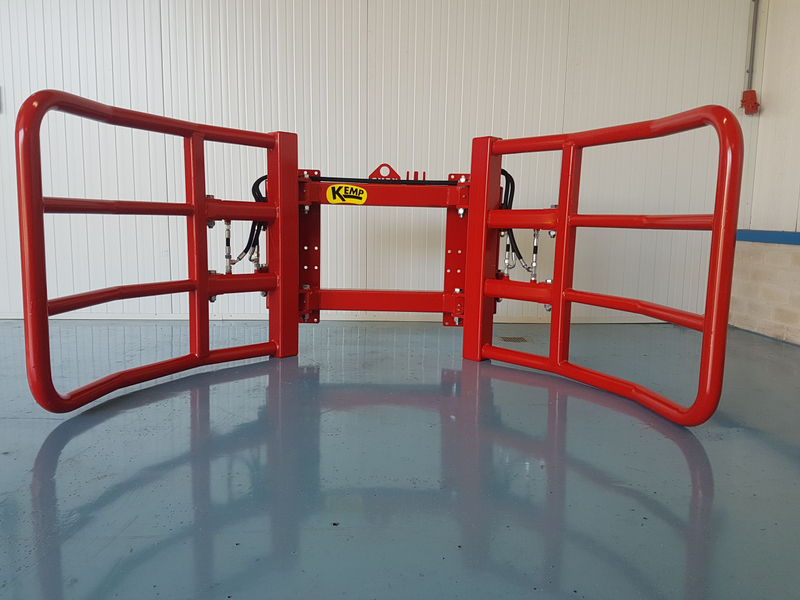 A strong round bale grabber, for use on wheel loaders, telehandlers and tractors. Due to the slotted hole, where the cylinders are attached to, it is easy to grab a bale. The 4 cylinders ensure that the bale is clamped securely. Due to the fact that these cylinders are positioned on the outside, the results is a minimum force, and wear at the pivot point. The clamping range is Ø 700 - 1.600 mm, max. open 2.000 mm. The thickness of the clamping brackets is 6,3 mm. 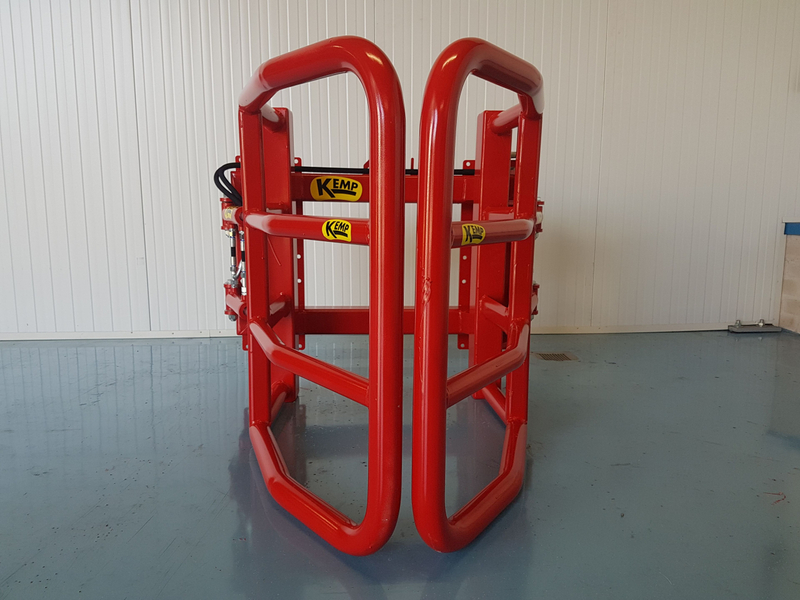 The round bale grabber is suitable for bales up to 1.800 kg. 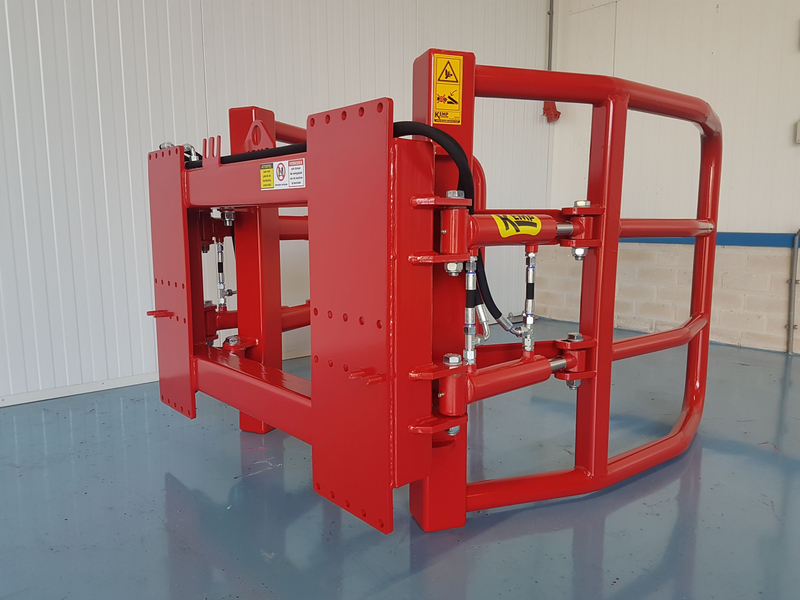 The weight of the bale clamp is 295 kg. 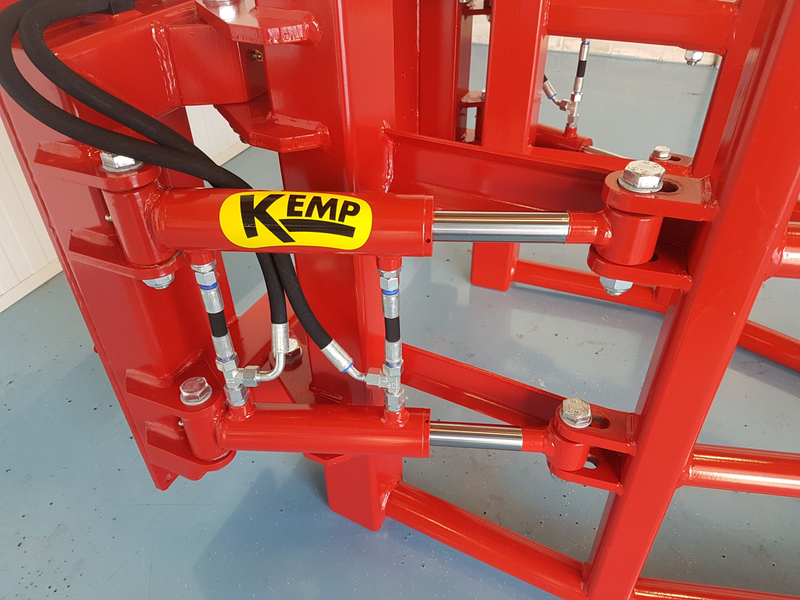 The bale clamp can be used on several vehicles, for all mounting parts see the document Kemp attachments. Double version: The BKRO can be ordered as a double version. The double version is equipped with an extra round clamping bracket in the middle of the clamp. 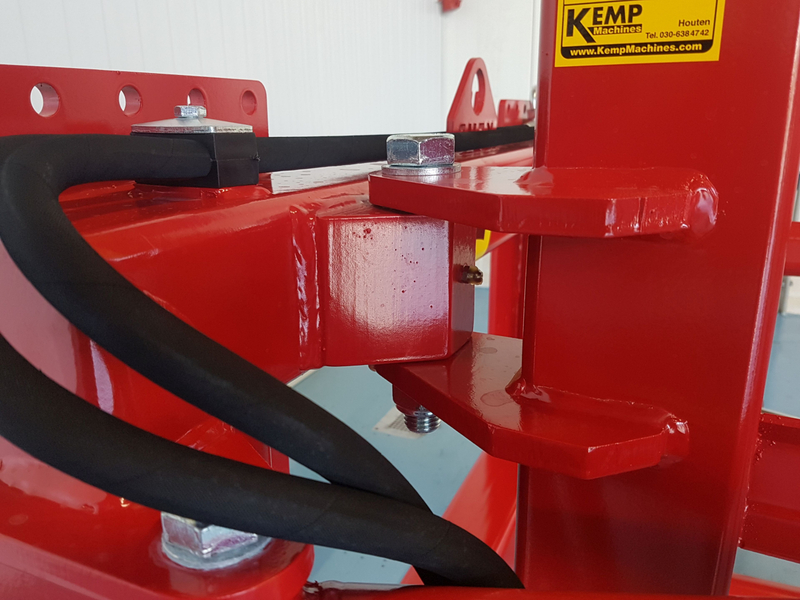 The outer two clamping arms can clamp bales on both sides of the centre bracket. 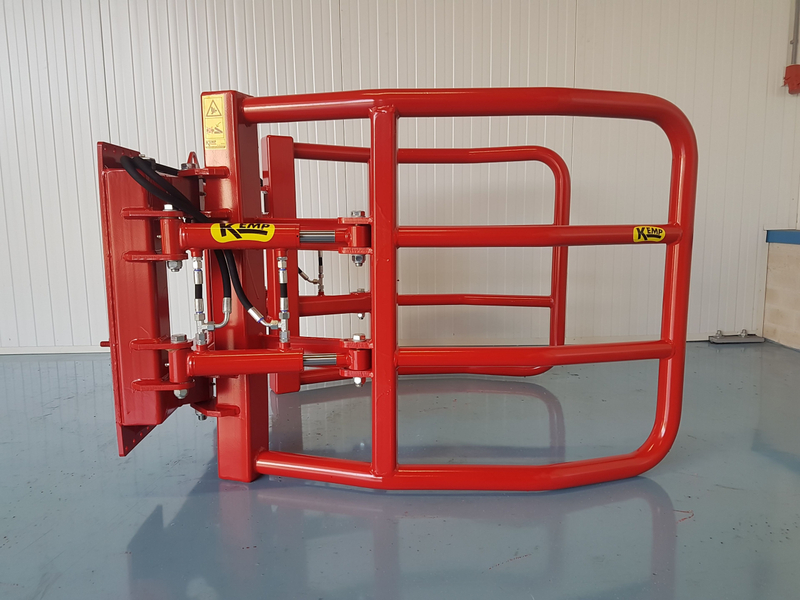 90 degree rotating head: It is possible to mount the clamp on a rotating head, this allows you to put the clamp in all kinds of positions.